This year, we were beyond excited to have 320 Youth Ambassadors join the fight against extreme poverty with us. 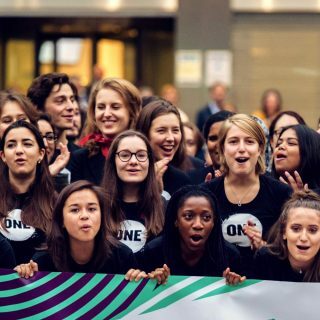 Our amazing volunteers used the power of their voices in France, Ireland, Italy, Belgium, Germany, the UK, and the Netherlands to spread the word that #PovertyIsSexist, fight for overseas aid and so much more! ONE Germany Youth Ambassadors at a Goalkeepers event. What did your Youth Ambassadors work on this year? 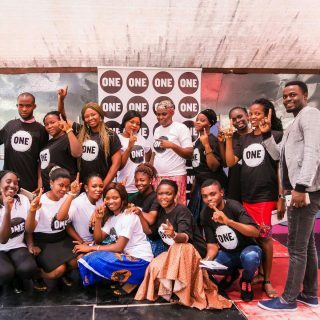 Germany: Our 60 Youth Ambassadors (YAs) invested a lot of time and effort into #DasSchönsteVersprechen, our budget campaign to increase Overseas Development Aid (ODA)DA. To close the year out, German YAs penned an open letter to the Minister of Finance, Olaf Scholz, which some Berlin-based YAs will deliver the letter to the ministry! 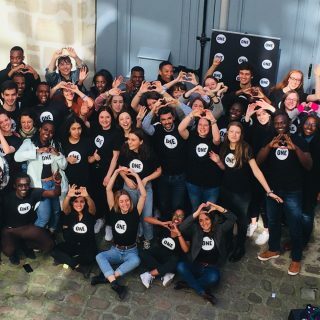 France: French YAs participated in a number of tremendous activities to make sure the fight against extreme poverty gains ground with French politicians and citizens. They relentlessly promoted our Poverty is Sexist campaign and lobbied European and French MPs to convince them to stand for more and better aid. They had a brilliant finish to the year with lobby days in Paris where they met 20 Members of Parliament in just 2 days! The Netherlands: YAs organised their very own debate between several political youth parties in the Netherlands where representatives from across the political spectrum spoke about their views on international development cooperation. It was a very interesting and successful night! Our ambassadors also worked on the MFF, World’s Largest Lesson, our Poverty is Sexist campaign and many other cool things. Belgium: Belgian YAs campaigned hard to make sure the next long-term EU budget shows an increase in EU aid. They engaged some powerful people, hung posters all around the EU quarters and took part in flyering and Twitter actions. The icing on the cake was a highly successful meeting with representatives from 27 EU-Members — the CODEV group — working specifically on development issues! United Kingdom: The YA team headed to Parliament to meet with cross-party MPs in support of our Campaign for Real Aid and had the chance to meet with the Department for International Development Minister Lord Bates who shares our passion for achieving the Sustainable Development Goals and what we can do together. Ireland: Our Irish YAs held their *biggest* ever event in the Irish Parliament meeting over 25 politicians, including the Education Minister and the Opposition Leaders of Fianna Fail and the Labour Party. Their message was clear: Ireland is a global nation and our commitment to the world’s poorest must be more than words. They had huge support and will be ramping up their campaigning in 2019. Italy: With over 80 lobby meetings, 80 campaigning activities and 150 media mentions in local newspapers, 2018 was a year of records for the Italian Youth Ambassadors! From North to South, YAs campaigned on Poverty is Sexist, pushed the Italian government to play a leadership role in ensuring an ambitious seven-year budget at the EU level through the MFF campaign, brought the “World’s Largest Lesson” to schools and universities and were key in the success of the first Italy-centric campaign:#ONEVoteItaly! Through the campaign, YAs met over 45 Ministers and MPs asking their support in the fight against extreme poverty and preventable diseases. Lukas, Germany: To witness the significant increase in the budget for 2019 and to know that our voices are heard. Romane, France: I could have a real impact doing things locally, in my own region. I organised an event in the stadium of Reims during a football game and our ‘Poverty is Sexist’ video was broadcast on a giant screen, which enabled us to collect many signatures. I gave interviews in local media and led a plurality of meetings with parliamentarians in my region. They were very impressed by my commitment as a youth and the mayor of Reims even heard about my action and sent me a personal letter to thank me! Bénédicte, Belgium: When I had the opportunity to enter the EU Council and speak in front of development experts from all the European countries. It was an incredible experience because our messages were heard by everyone in the room and we managed to push a little further in the fight against extreme poverty! Nicolas, Italy: Meeting with the representatives of the Embassy of Canada in Rome to discuss the role the G7 community should have with regards to financing education for girls in Africa and our #ONEVote Campaign, which allowed me to point out some of the global social concerns to the Italian political class. And additionally, as a reward for my commitment, I often got published in local newspapers! What was the highlight of your year working with our Youth Ambassadors? Germany: The German Budget Committee announced to increase ODA significantly and to strengthen Germany’s commitment to global health and girls’ education. YAs had been relentlessly advocating for this increase and had met more than 100 politicians to discuss this issue. 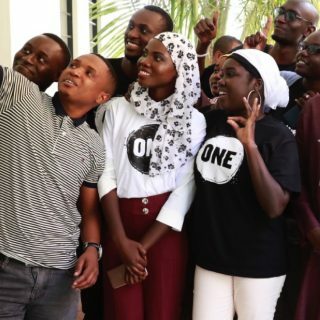 Once the final version of the 2019 budget had passed, a Member of Parliament reached out to thank the Youth Ambassadors for all their efforts. France: YAs constantly advocated for more transparency and efficiency of French aid in a revised programmatic law on development and the lobby days in Paris were a culmination of those efforts. The bill will come to parliament in spring next year and we will have a great chance to build on YA’s hard work. All this was made possible thanks to the close relationship they built with a key MP with regard to ODA, Hervé Berville, who issued a report on this subject and organized several meetings with them, thanked them personally on twitter for their commitment and said that he wanted to keep the conversation going. The Netherlands: We won a hard-fought 100 million pledge for the Global Fund for Education from the minister of Foreign Trade and Development Cooperation. This was a big win as our YAs had done a petition hand-in to the minister asking for a financial commitment! Belgium: When our YAs met and handed over the MFF petition and our new MFF Brief to the two most influential EU commissioners, Nevan Mimica and Günther H. Oettinger! United Kingdom: The noise YAs made around the Commonwealth Heads of Government Meeting! Our YAs flexed their policy brains talking to politicians about global corruption, the importance of UK aid, and women and girls empowerment. They met with former Prime Minister David Cameron and countless cross-party MPs with a clear message: we want a better, more equal world. Ireland: Meeting Taoiseach (Irish Prime Minister) Leo Varadkar in March to discuss our Poverty is Sexist campaign. The Taoiseach has been a champion for a better world and we’re grateful to have his support. Italy: The success of the YA-driven #ONEVoteItaly campaign, which is a reminder of how lucky we are at ONE to be able to count on a group of such committed young activists that put their time and energy into fighting for a more just and equal world. At our lobby days, YAs were natural, confident, passionate and convincing and left the politicians we met truly impressed and inspired. The Vice Minister for Foreign Affairs and International Development, Emanuala Del Re, praised the YAs ability “to go to the heart of the problem with clarity, lucidity and at the same time passion”. Want to become a 2019 Youth Ambassador? Learn more and apply here now!